It is more apparent than ever, during this ripening presidential election contest, that there are two parties in America. One of diversity, youth, vigor, and which challenges the status quo; the other of tired old ideas and of old white guys… and one old gal. In a “world turned upside down” moment, we see the two political parties flip roles, each become the other’s stereotype. The Republicans this year have become the party of diversity; running a host of candidates who include two Hispanics, an African-American, an Asian, and a woman. The Democrats, the “Party of Diversity”, are running five old, white men and an old (and very entitled) white woman. The average age of the 15 Republican candidates (Rick Perry dropped out today) running for President is 52.7 years; and six of which are under 55 years old. 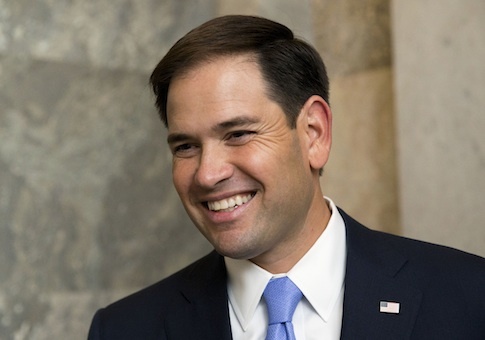 Marco Rubio, one of the two Hispanics, is the youngest candidate running this year, at 45. By contrast, the average age of the 6 Democrats running (including Vice President Biden, should he run) is a decade older, at 67.5 years old. But when you look at the specifics, the picture gets even grayer: Joe Biden is 72, and if elected will be 74 when he assumes office; older than Ronald Reagan was when he was sworn in for his second term (at 73, generally considered too have been too old, nodding off frequently at Cabinet meetings and possibly beginning to feel the effects of the Alzheimer’s Disease he was eventually diagnosed with). Hillary Clinton, the most likely of the six to get the Democratic nomination, is no spring chicken. Should she win the 2016 election, Hillary will be 69 the day she is inaugurated. That makes her the same age Ronald Reagan was when he assumed office in 1981; the oldest president to ever be inaugurated. Hillary would thus share that honor, in presidential statistics. All the Geritol, none of the charisma. Bernie Sanders, at this point running second in national polls and actually leading Mrs Clinton in some Iowa and New Hampshire polls, will be 75 two months before the 2016 general election. That would make him the oldest president in US history, should he win. The rest, O’ Malley (54), Chafee (63), Webb (70) have little to no chance at the nomination; their candidacies merely vanity campaigns (sadly in the case of James Webb; who at least would serve to drag the Democrats back far-left fringe to the political center). Biden’s numbers are good right now. But that will change if he actually gets in and begins taking hits. In any case, the Vice President thus far seems half-hearted at best, and may not jump in. 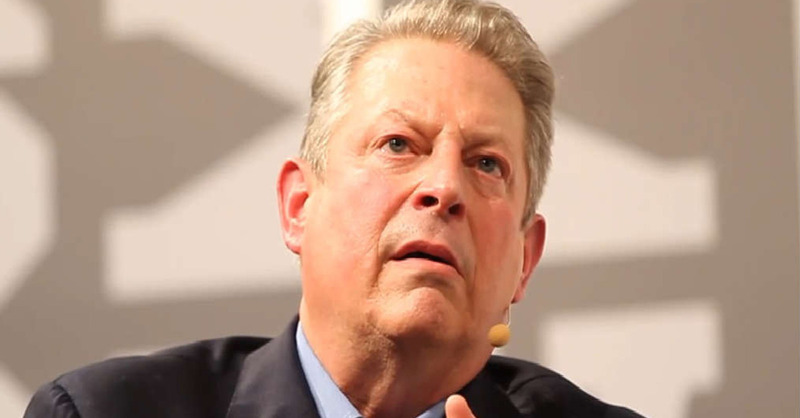 So dismal are the Democrat’s chances this election cycle, with front-runner Hillary Clinton mired in growing scandal, and so weak their bench that there has even been talk of dusting off the 67-year-old Al Gore! As for “new” ideas, all of the Democrats are running on stale ideas that were born out of the 1930’s “New Deal”, or the 1960’s “Great Society”. That, and the “new” notion of a “war on women”; a line of attack that tries to create victims out of all women, and which fell completely flat in the last election-cycle. One of the Democrats, Bernie Sanders, isn’t even a Democrat, he is an Independent! Bernie is an avowed socialist; a believer in a political/economic philosophy developed in the 1840s and which as led to economic stagnation and political oppression everywhere it has been tried (and it has been tried in dozens of countries throughout the 20th century). The Democratic Party is the party of socialist elitists, the far-left fringe, and Labor; a movement born at the end of the 19th century in the age of the so-called Robber Barons of industry. While the Labor Movement was very useful in its day; that day has long gone. Today’s labor is busy picking the dead flesh of industrial America, killed by labor’s never-ending demands upon its resources; and which champions such pernicious job-killing policies as a $15/hour minimum wage. If the Democrats adopted a new idea, it would die of loneliness. As Chris Wilson of the Times wrote in April, “In fact, the 2016 nomination fight currently looks like a teachers-versus-students charity basketball game.” Let’s hope this geriatric Democrat team are the “shirts”, not the “skins”. 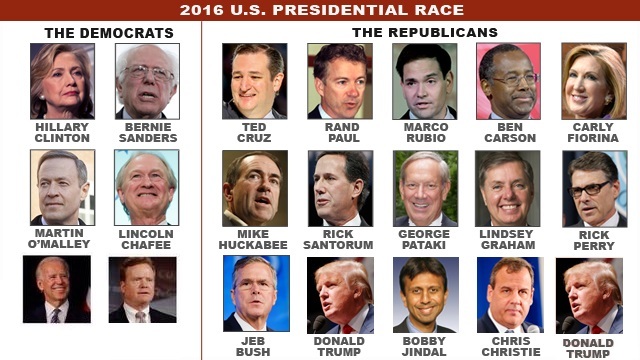 Now who is the party of the “old white guys”? It seems a long time since the attacks on 9/11/2001; and it seems like yesterday. That’s a trick your mind plays on you with traumatic memories: putting a healing distance between then and now, all the while indelibly imprinting the memory so it always seems fresh; easily recalled as clearly today as when it occurred. In 2001 I was living in Michigan, a business man who worked out of his home office. That morning, I got my coffee and walked down to my office. It was just a few minutes before 9am on a crystal clear autumn morning. My office had a large window, and as I sipped my coffee I looked out at squirrels playing on my lawn. As always, I turned on my computer. Back then, Yahoo was my Homepage. As it booted-up, I glanced over and saw the “breaking news” banner: A plane had crashed into the World Trade Center. I walked over to the living room and turned on the news. Against the backdrop of a clear blue sky, the live feed from New York City showed the North Tower of the World Trade Center, a huge bloom of smoke pouring from a gigantic rent high on the side of the building. The commentators in the news studio were speculating as to what could have caused a plane to somehow drift off its flight path and into the World Trade Center. They weren’t sure at that point if it was a small private plane, or a commercial aircraft. At that moment (it was now 9:03am) the second airliner came into view on the screen. A nano-second later, it crashed into the side of the South Tower. I think I said something trite, like “OMFG!”; and sat my coffee down with a shaking hand. One female commentator asked if something could be badly wrong with the local Air Traffic Control computers; perhaps erroneously vectoring planes into Mid-Town Manhattan. That question was just as quickly quelled by her partner, who stated (correctly) that this must be a deliberate act of terrorism. At some point after that, people started jumping out of the burning buildings. I called my wife, who was working at a local hospital; leaving her a message to call me. At 9:39, the third plane struck the Pentagon. I think at that point, I must have gone into a altered state of consciousness; a sort of state of shock. I grew weirdly calm, detached, emotionally uninvolved with the disasters unfolding on the television. Leaving the television on in the background, I decided this was a good day to paint my house. Now, for those who know me, that is proof enough that I was in shock. I am not the home-fixer-upper type. But that morning, as the Towers collapsed (“Huh, you don’t see that every day!”) and Jet fighters were scrambled as there were reports of a fourth plane heading toward the Capital, I think my subconscious needed something exceedingly mundane to ground itself in a reality it could process. I am a veteran of Special Forces, and someone who has faced very difficult and deadly situations before. I don’t normally “lose it”. But on that otherwise beautiful September day, Barry had “checked out of the net” (as we used to say on the Teams). Elvis had left the building. That afternoon and early evening, first my wife and children; then my friends and neighbors gathered at my home. I was relatively calm and still detached, discussing somberly the events unfolding when something happened that broke through my detachment; shattering the barrier my mind was busily erecting to protect me: My wife’s father, a happy alcoholic, decided that so many people in one place constituted a party. He put on music, people began to relax and laugh, talking about other things. For me, it seemed almost sacrilegious to be partying when so many people were dead or dying, when our country had just suffered the greatest attack since Pearl Harbor. I exploded. I don’t lose it very often, but I did that evening. I upbraided my father-in-law and those sharing his merriment: Didn’t they understand how inappropriate this was, I scolded? Before making a complete fool of myself, I walked away. Stepping outside onto my lawn, I stood there in the Michigan evening twilight, and allowed myself to cry. Here is a compilation of news coverage that morning, after the first plane struck but before the second; as they occurred that day.